dizzy with words: Super Villain? Or Super Author? After a few weeks, I have finally seen The Avengers. What took me so long? Because I didn't want to see it until I watched all the movies leading up to it: Iron Man, Captain America, etc. And for some reason, I just stubbornly refused to watch Thor. I just wasn't into it. Probably because, of the gang, Thor was the only one about whom I had no prior knowledge whatsoever. My reaction? "THOR'S EVIL BROTHER IS F. SCOTT FITZGERALD!" At that point, I was a goner. 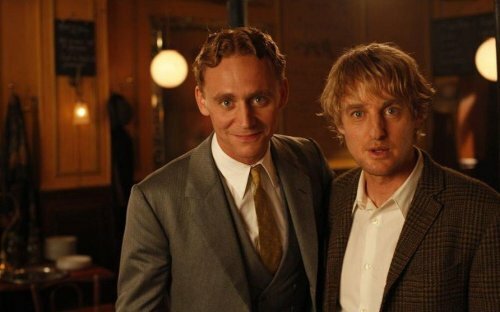 Sorry Tom Hiddleston, but since Midnight in Paris was the first movie I saw with you in it, you will always be F. Scott Fitzgerald to me. Even when you're trying to take over Earth. Though honestly, if Fitzgerald were trying to conquer the world, I think I'd be okay with that.